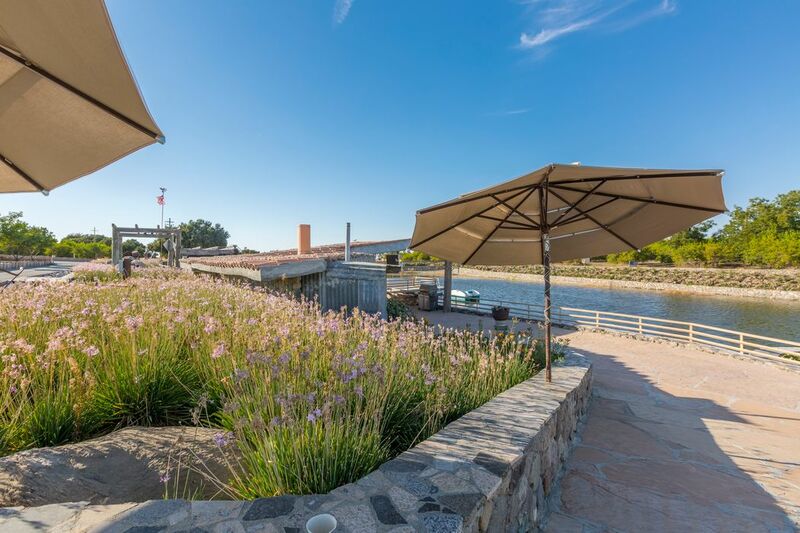 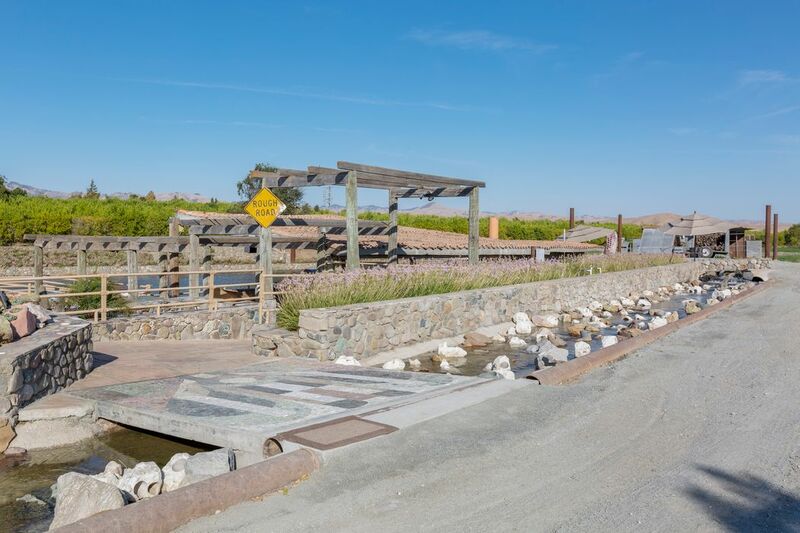 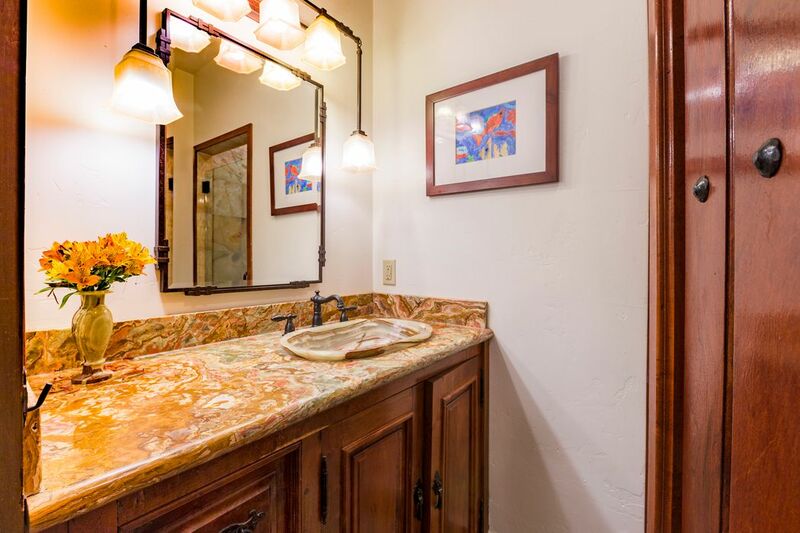 4996 Airline Highway, Hollister, CA 95023 | Sotheby's International Realty, Inc.
$2,300,000 4 Bedrooms3 Full / 2 Partial Baths2,193 sq. 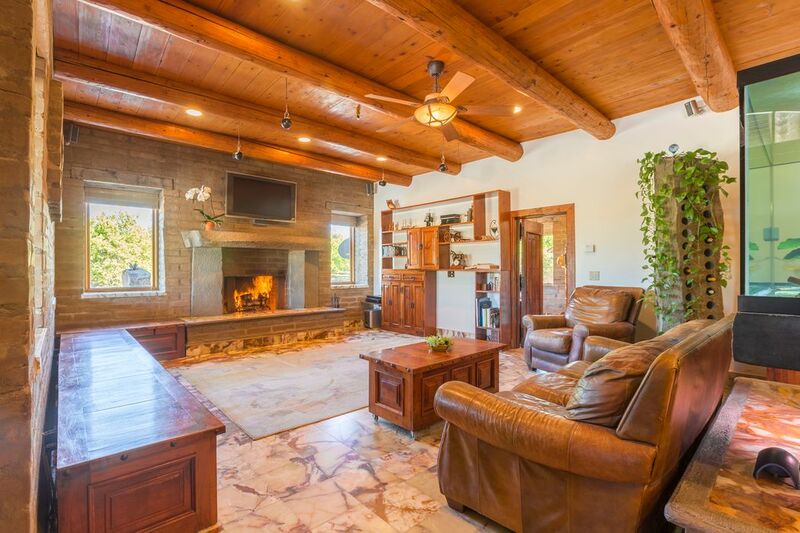 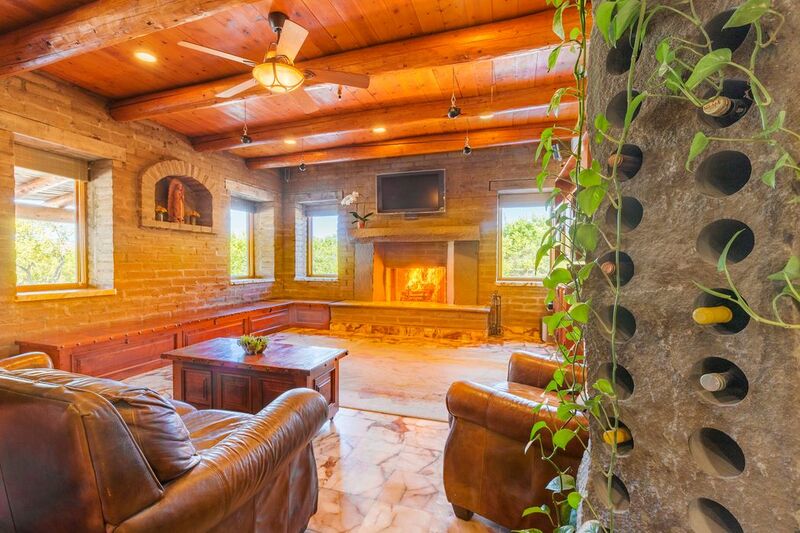 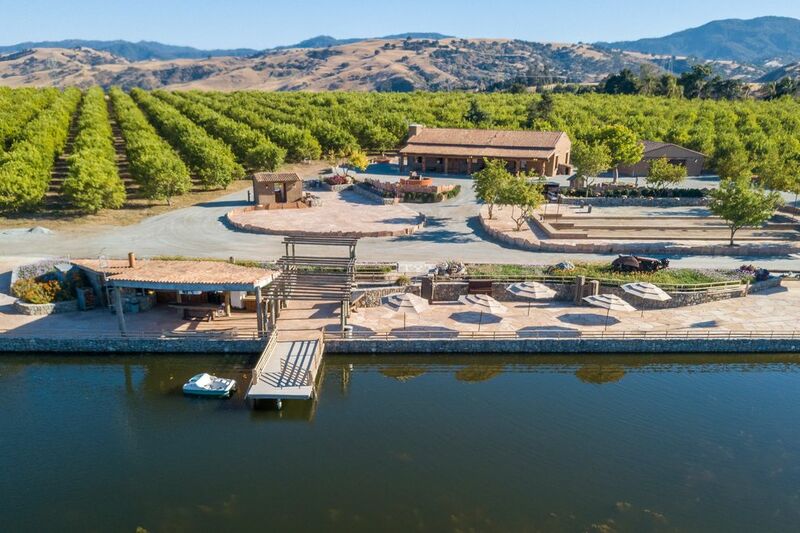 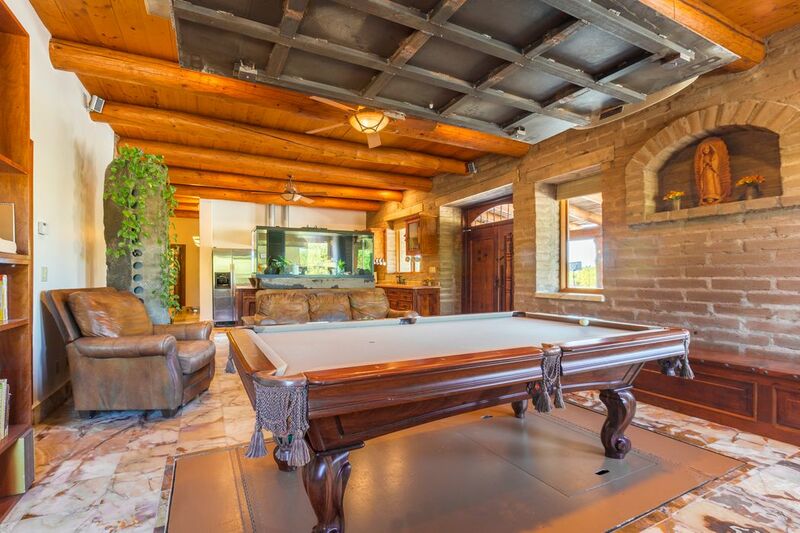 ft.
Utterly Unique Secluded Oasis on 23 acres, ideal for Corporate Retreats, Event Venues, Vacation Rental, Agriculture, Possible Development Potential, or an amazing full time home where it feels as if you are on vacation year round. 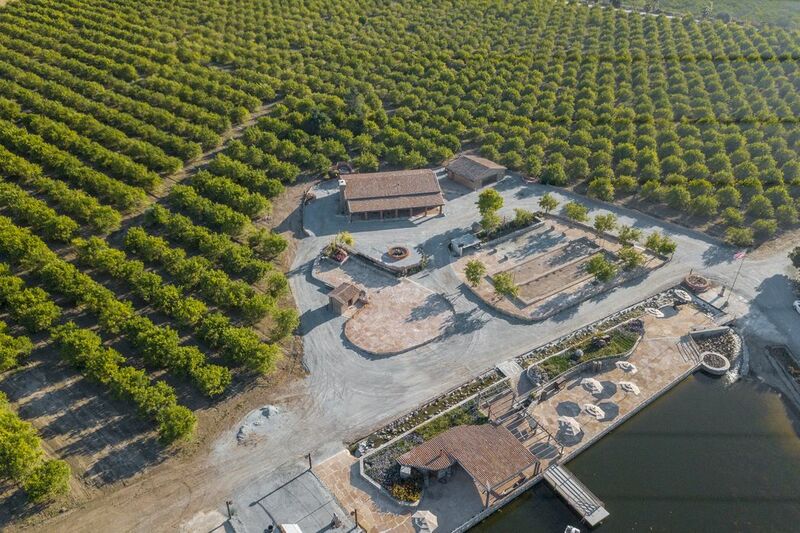 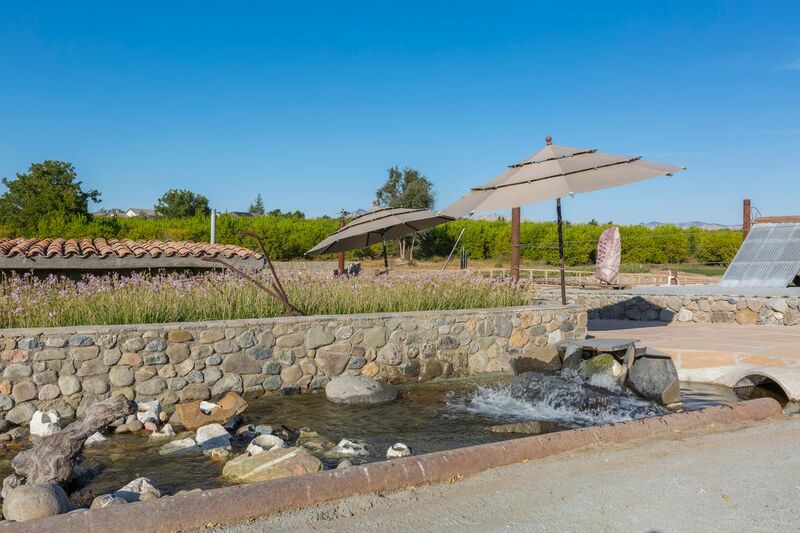 As you enter the private gate and meander down the driveway, pass through a lemon grove and arrive at the home, it is literally jaw dropping.Truly a hidden gem that has to be seen to be comprehended. 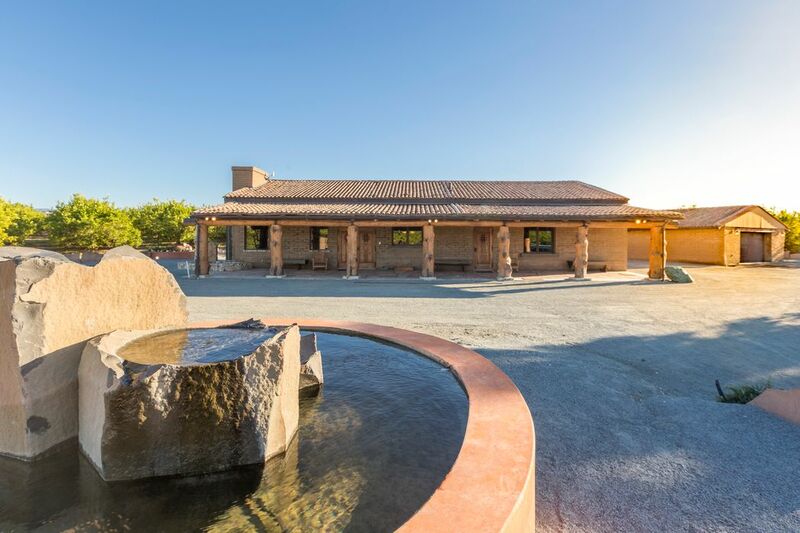 Custom home and grounds tastefully done with incredible artistry and imagination. 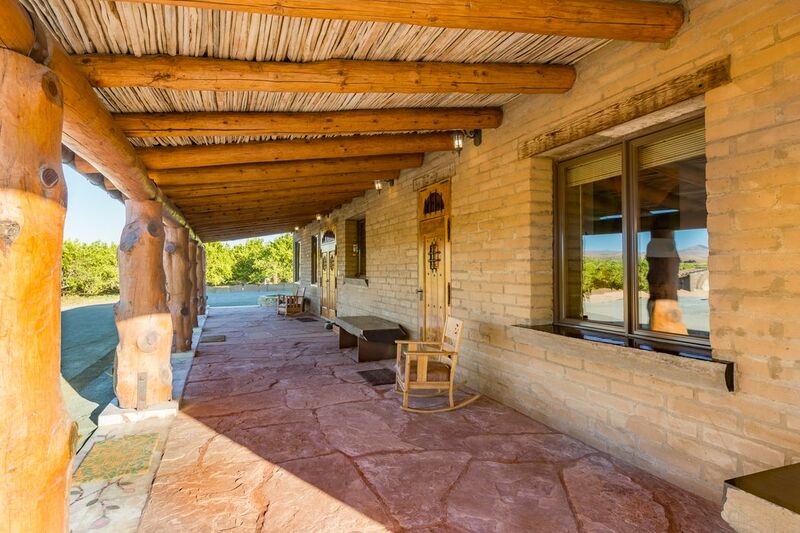 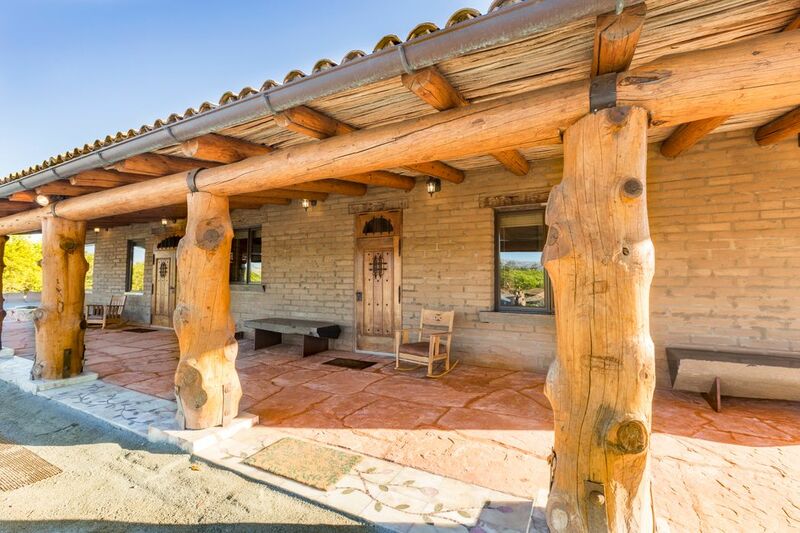 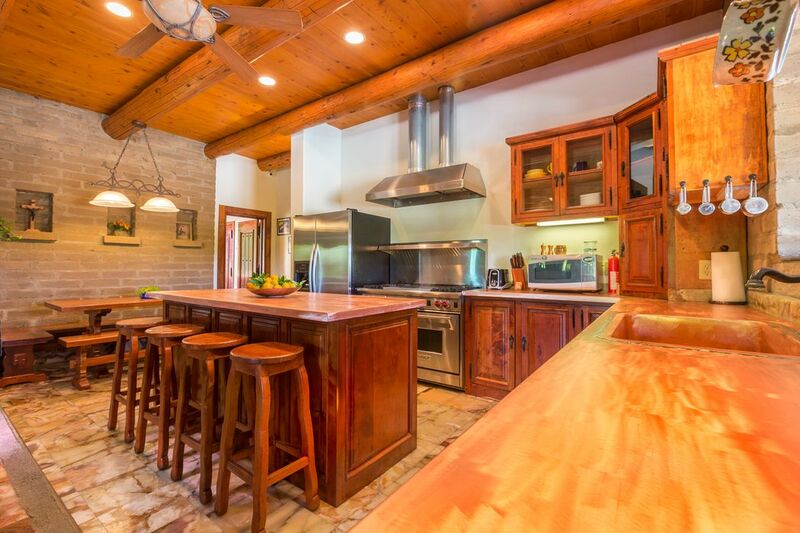 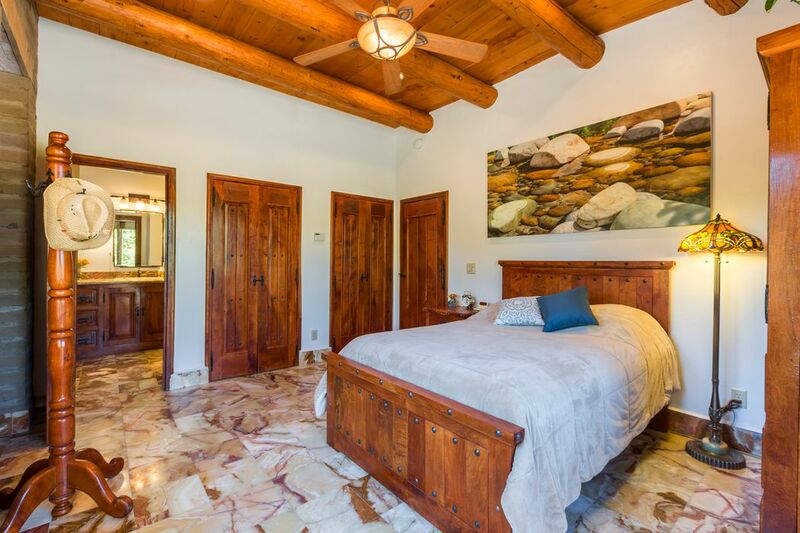 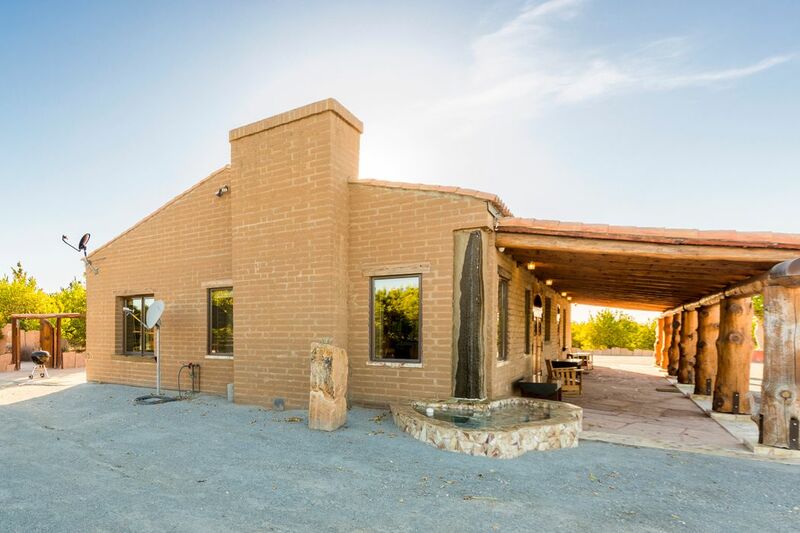 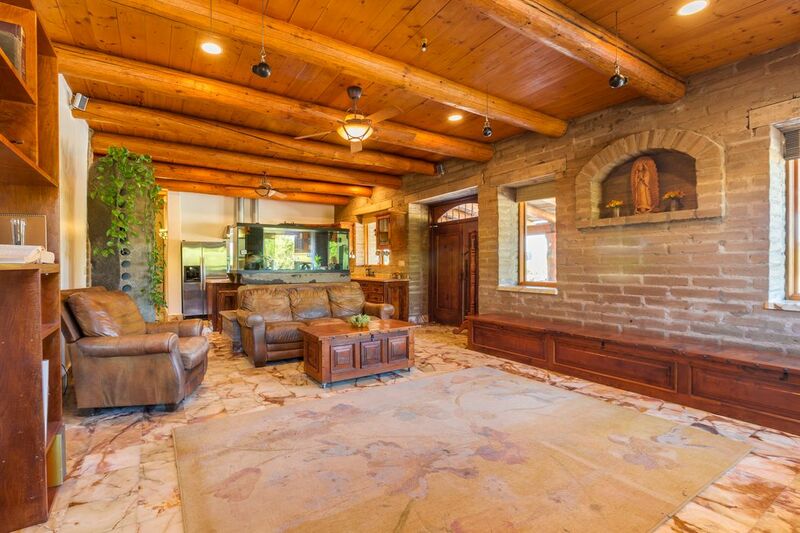 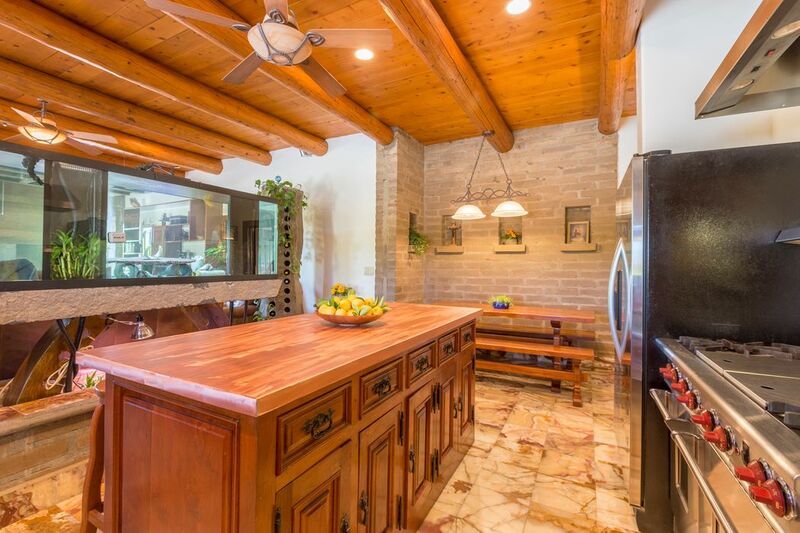 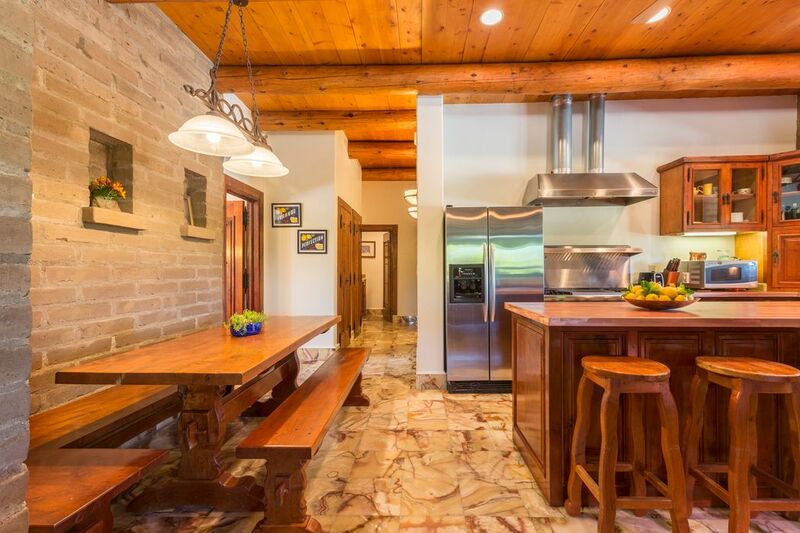 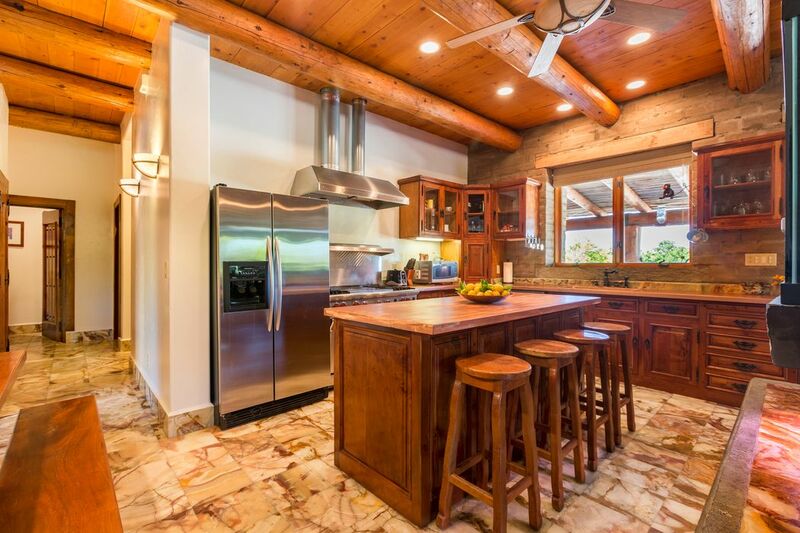 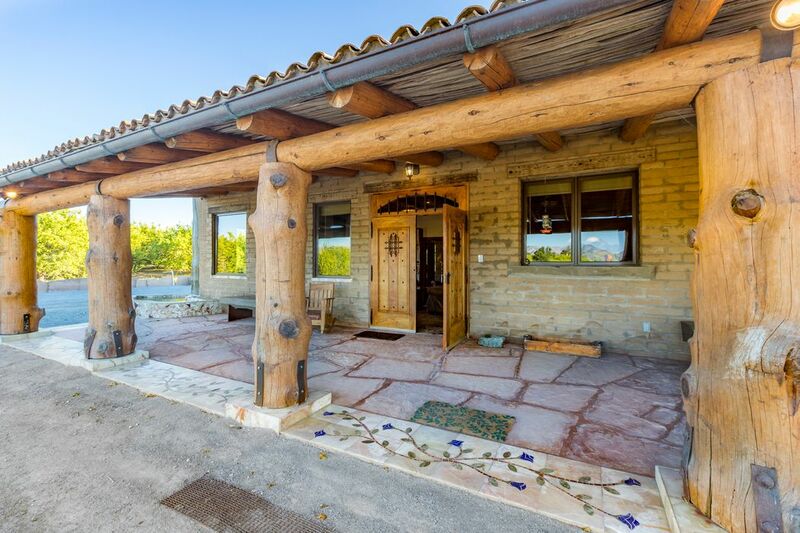 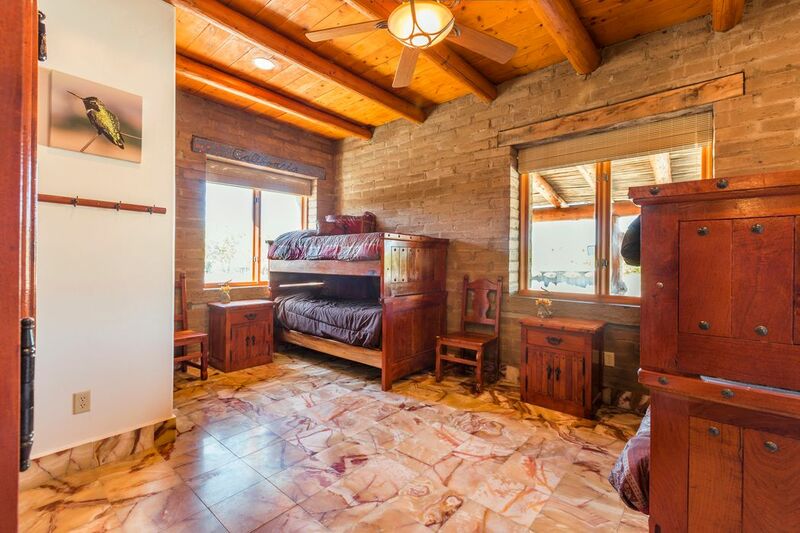 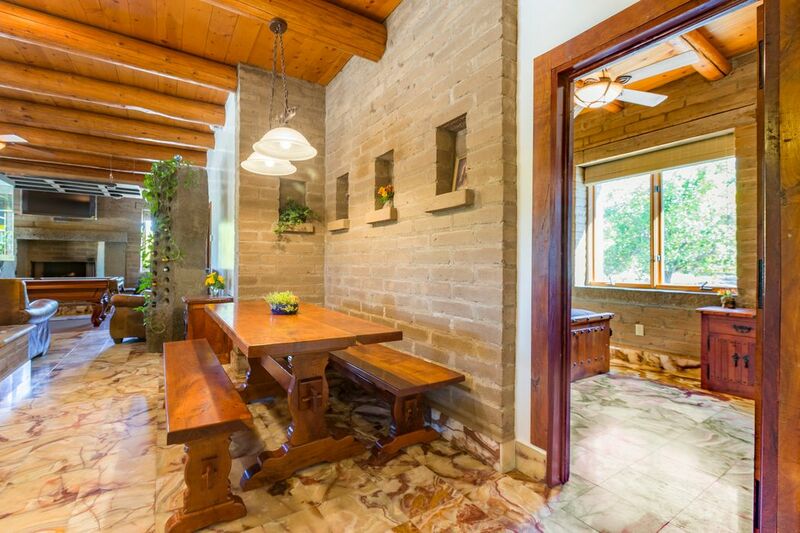 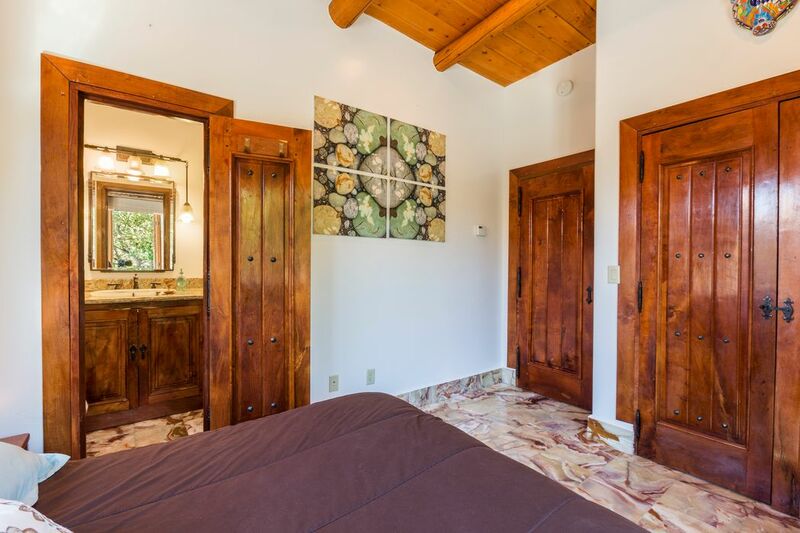 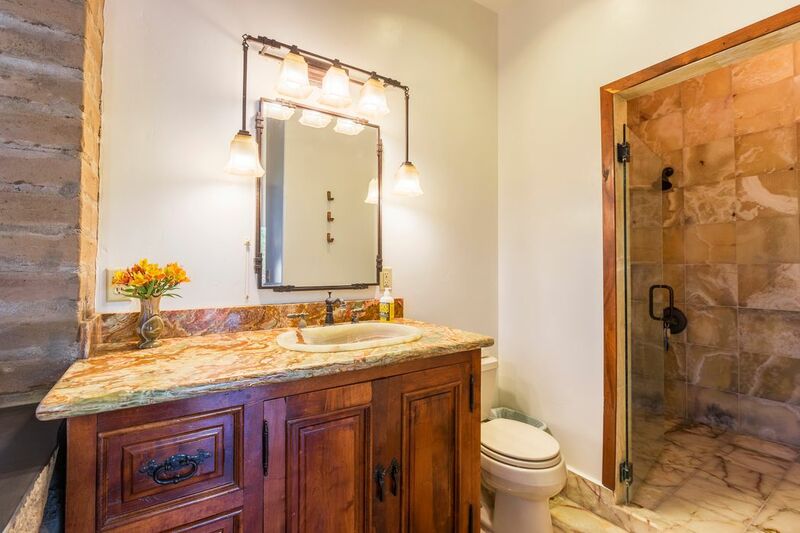 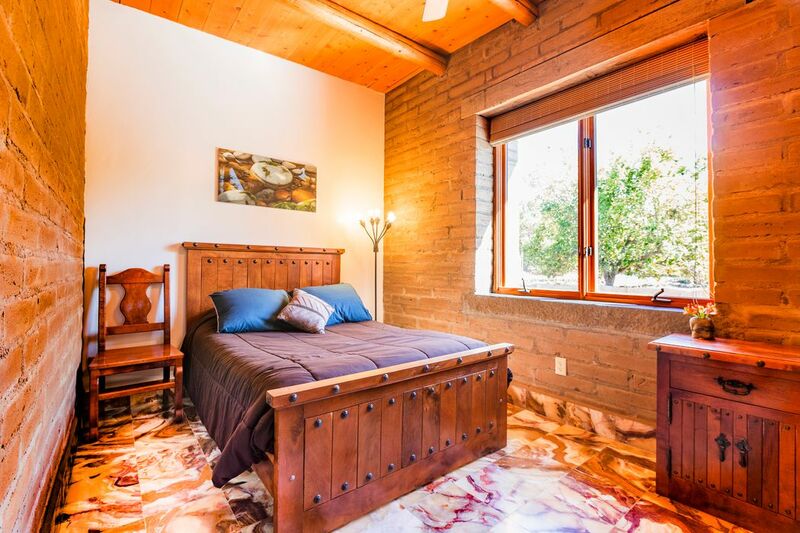 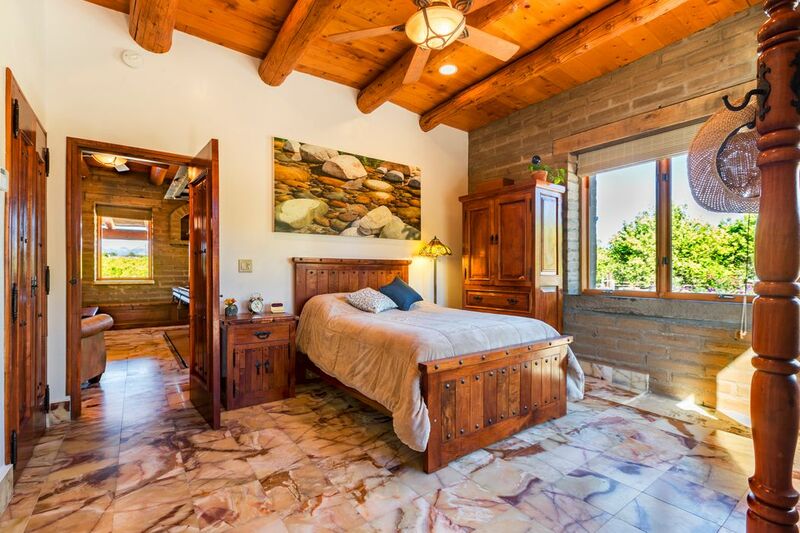 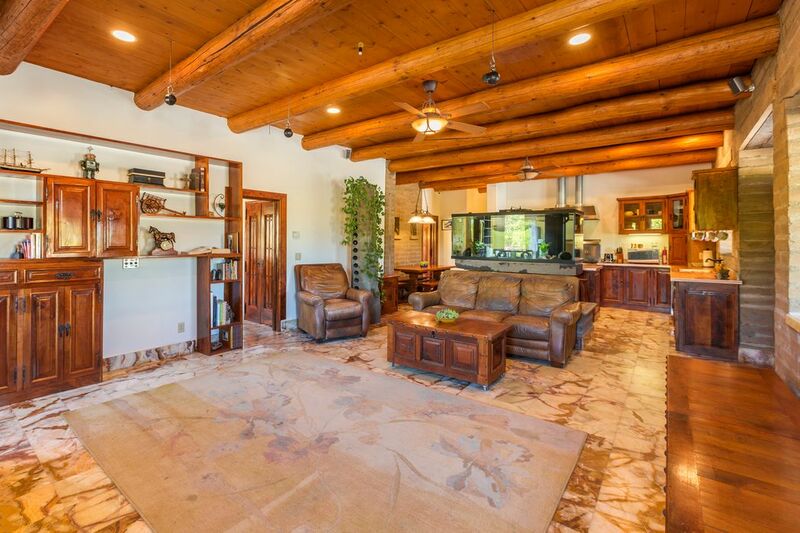 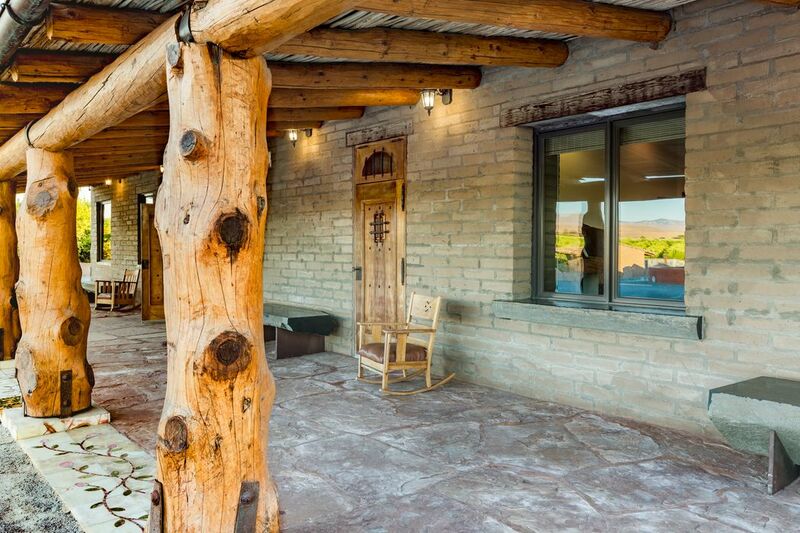 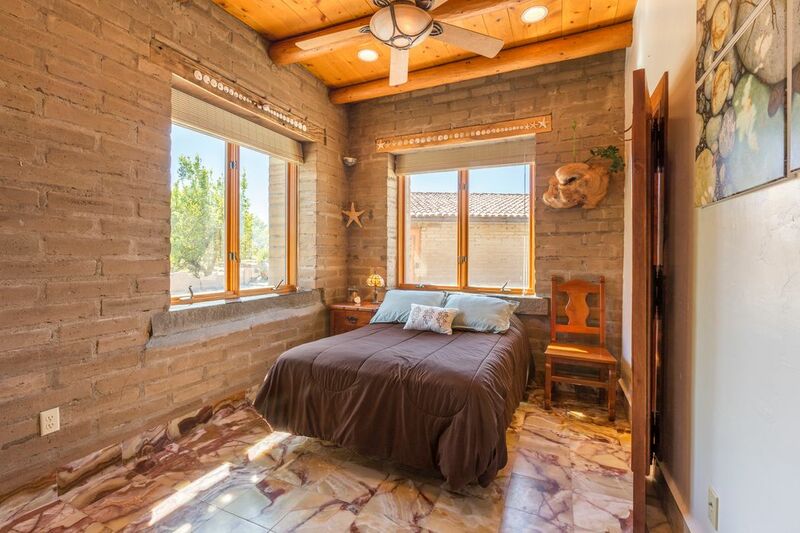 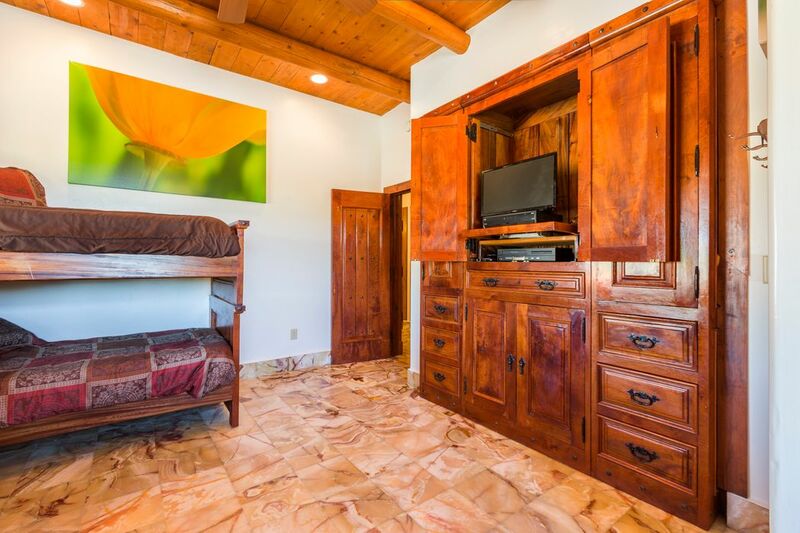 27" double adobe with steel reinforcements, mesquite doors, cabinets and furniture, hand peeled lodge pole pine vigas, Pakistan Onyx floors, sinks and counters and copper kitchen counters. 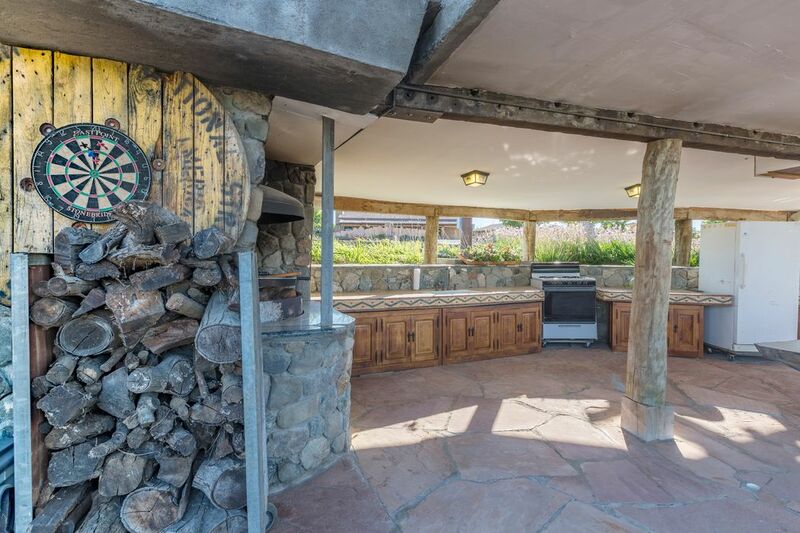 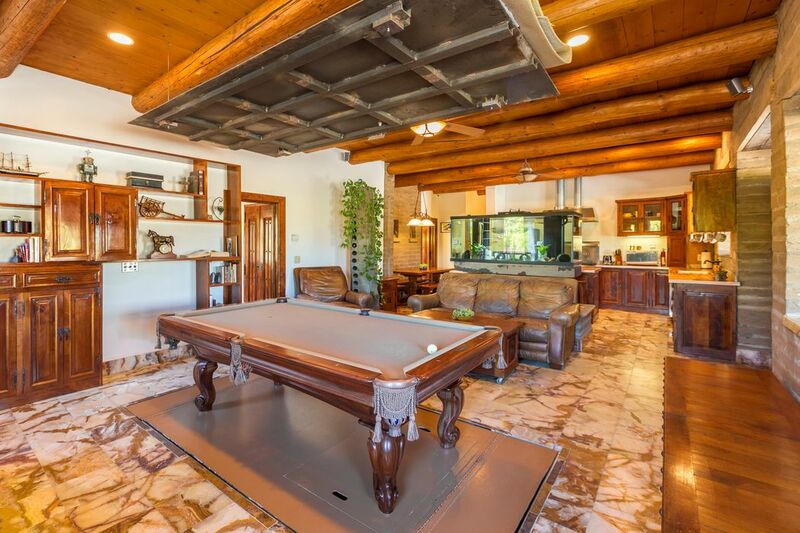 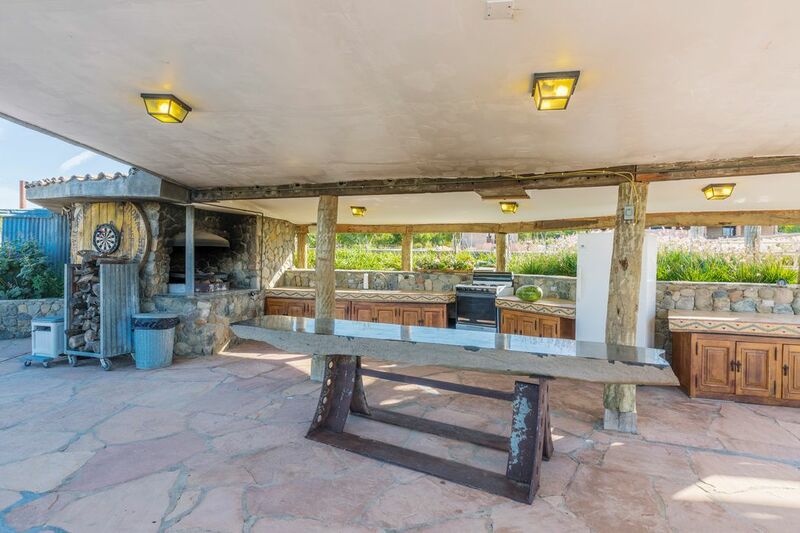 The massive outdoor kitchen/entertaining area overlooking the three acre pond is surreal. 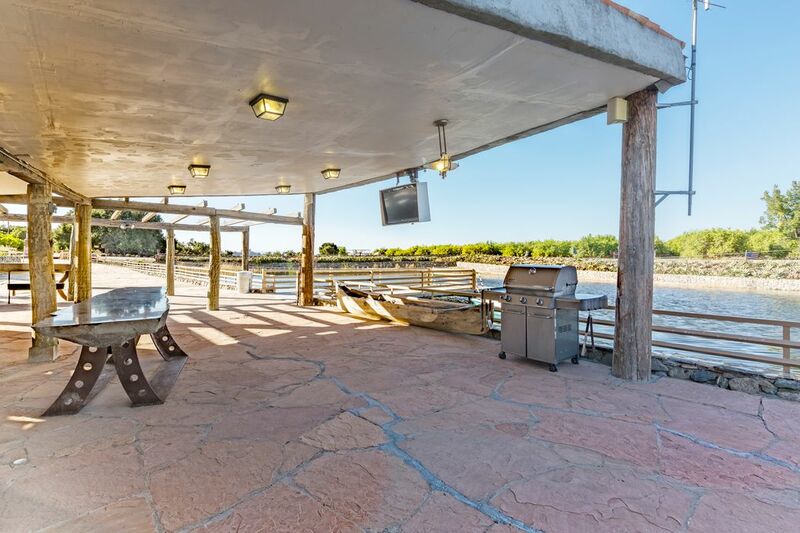 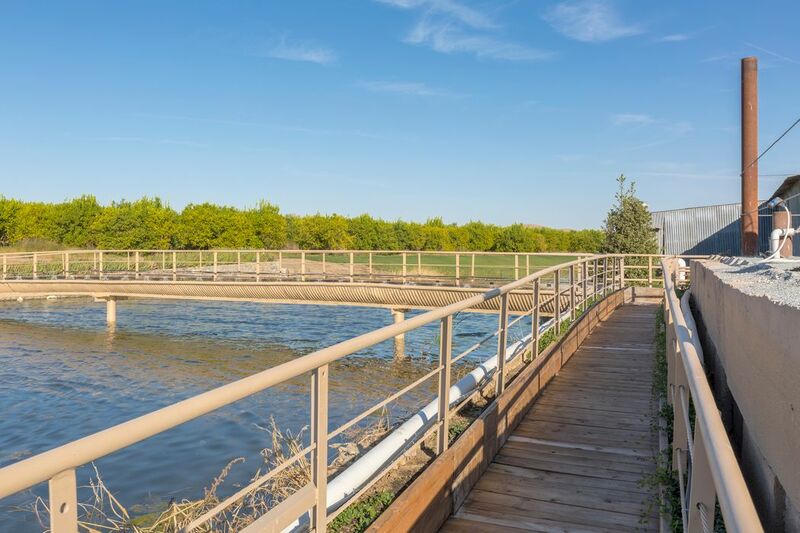 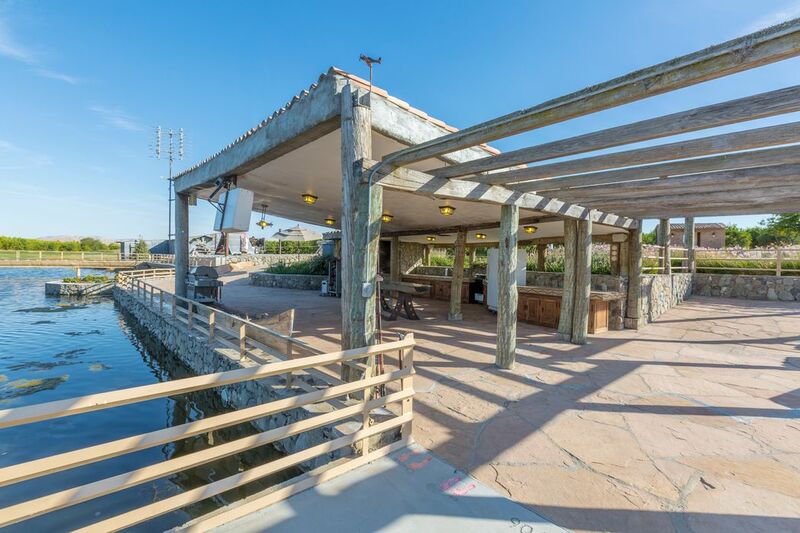 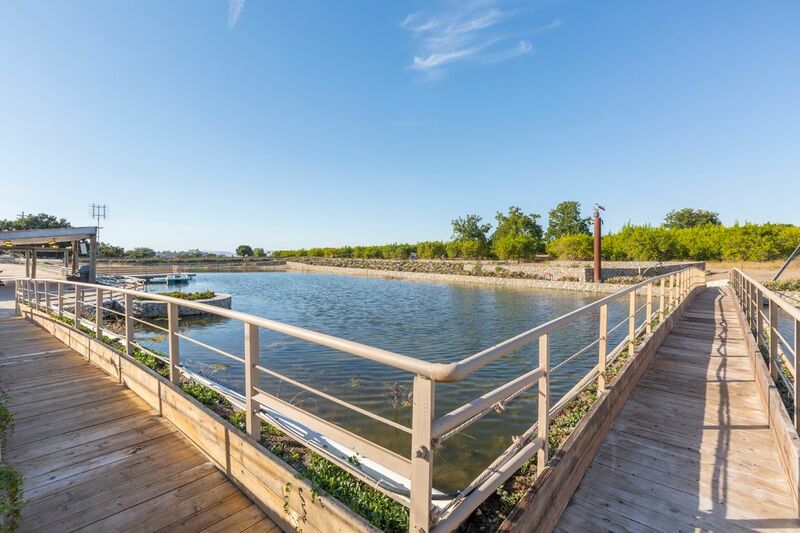 So much to do on-site with fishing, paddleboat, zip line, bocce ball and more. 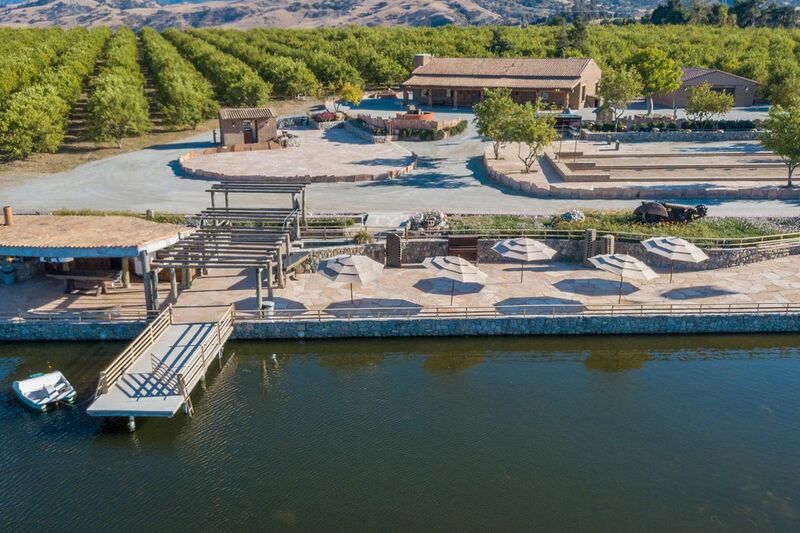 Close to airport or room enough for your heli-pad and parking for 80+ cars. 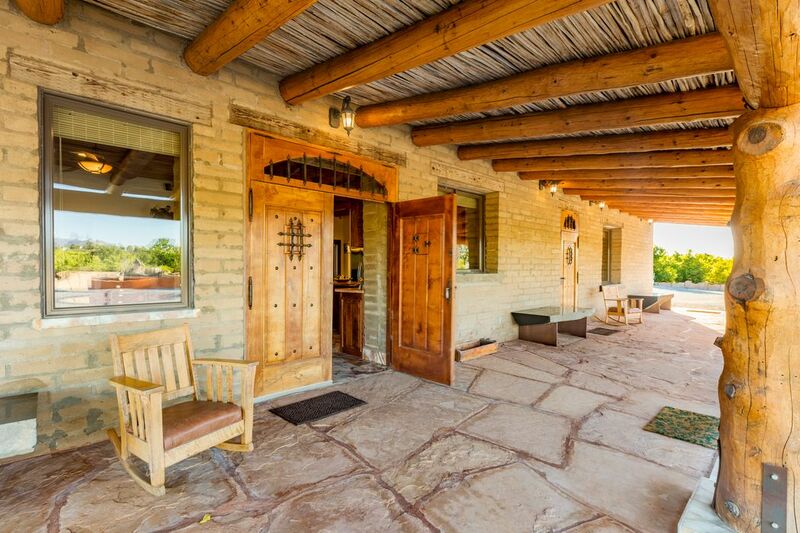 Please watch video to appreciate how truly special this property is.